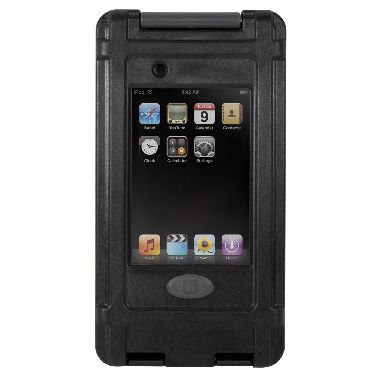 Compare to OtterBox Armor case, the Defender case for iPod touch is a more lightweight and slim-fitting case. It is a semi-rugged case, which made up of three major components: a sturdy plastic endoskeleton that snaps on your itouch that protects it from drops, a clear film membrane that allows visual and touch access to your screen, and a soft-grip silicone skin that covers most of the polycarbonate skeleton and controls access to ports while covering them when they are not in use. The combination of the three components provide a descent protection to your iPod touch. Also, the design of this case allows for use of any headset with a standard 1/8" mini stereo plug, it let you charge your device right through the case via convenient Silicone plugs. Although the Defender case is slimmer than the Armor case, it still add quite a bit of bulk to your iPod touch. As it offers bump, shock, drop and scratch protection to your device, the Defender case will be a perfect for those who likes doing outdoor activities like rock climbing, etc. More reviews are available on: Macsimum News, and MacMerc.com. The video below compares the connection speed using iPhone Edge, iPhone 3G, and iPod Touch WiFi. If you want to protect your iPod touch in a stylish and natural way, then you should definitely consider iWood touch from Miniot -- an attractive flip-open case carved from natural wood. There are several types of wood material to choose from: maple, cherry, oak, mahogany, padouk and walnut. Each of the wood is slightly different due to the nature of the material but all of them will cost a same price of €95. The iWood touch has a sleek design and offers excellent protection to the iPod touch. The best part for this wooden case is: it comes with personal engraving so you could brand your iPod touch with personal text. A detail review for the iWood touch case is available at iLounge. 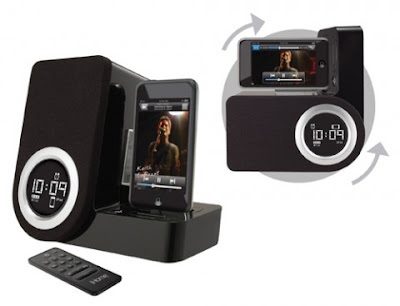 The iH41 from iHome is a rotatable iPod touch dock / alarm clock that can be flipped for easy orientation switching. While your iPod touch is docked and charging on iH41, you could easily switch it to horizontal mode so that you could view widescreen videos on your iPod touch. After finish watching, you could then switch it back to vertical mode, and the digital clock display will adjust itself accordingly. If you have the habit of watching movies on your bed before sleep, the iH41 would be a nice accessory to own. It is available for $79.99 with remote. With Urbanspoon, a really cool app for iPod touch and iPhone, you will not need to worry anymore to think about where to have your lunch or dinner. This application is basically a dining discovery app which will help you to discover a lot of restaurants around your area. And if there are too many choices and you are not sure which one to choose from, Urbanspoon will help you to decide.. you just need to specify the price range, type of cuisine, and your neighborhood, and Urbanspoon will randomly pick one that match your criteria. Besides that, there are also some really useful features such as customer reviews, integration with Google map to identify the restaurant location, etc.. Check out the review below from CNet. The Apple iPod touch is already sleek and stylish on its own. But if you want, you can always spice it up with a little more colorful design by applying an iPod touch skin on it. TatSkinz has a great collection of skins with some really cool design. Check them out! The MotoRacer is an iPod touch game with 3D graphics.. Check out the demo in the following video.. Quite a cool game to add to your iPod touch.. It's also available for iPhone. The U-Feel case from UNIEA is an iPod touch case that offers a combination of hard plastic shell and mirror coating. 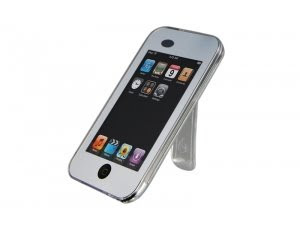 It features a slim and detachable transparent belt clip, which can be used as a kickstand to facilitate the iPod Touch video watching function vertically and horizontally. The reviews for this iPod touch case are available at iLounge and TamsIJungle. With iPod touch, we get most of the benefits of the iPhone, except for the ability to surf the web and make calls while out and about. Now here's an inovative way of turning your iPod touch into a iPod touch 3G. The idea is to turn your cell phone into a wireless modem using a software called Joiku, then hookup your iPod touch to the cell phone over WiFi. A pretty cool idea! 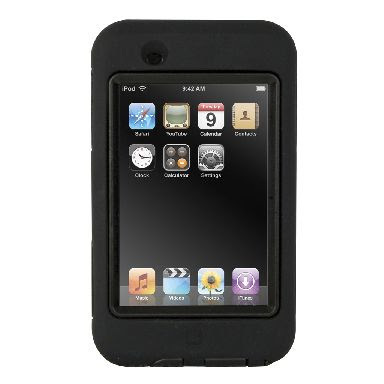 The OtterBox Armor iPod touch case is perfect for those who like to take their iPod touch everwhere.. even in the water! Yes, it is a waterproof iPod touch case that can protect your iPod touch up to 3 feet in the water. The OtterBox Armor iPod touch case also features a PATENTED thin membrane that allows for full usability of the touch screen. Your iPod touch will be ready for just about any weather or activity with this case. While the OtterBox Armor Case gives a solid protection to the iPod touch, it does make your iPod touch bulkier. Also, it covers up the On/Off button completely so you will need to open the case to reach the button. This shouldn't be a big deal since the device will eventually go into sleep mode. So if you can accept the bulkiness of this case, it will be a great product (Price: $49.95).